This is my 18 month old son Liam. He always has crazy hair which made me think of beetlejuice. We altered a Jack the pumpkin king costume to fit him as well as made a tie. 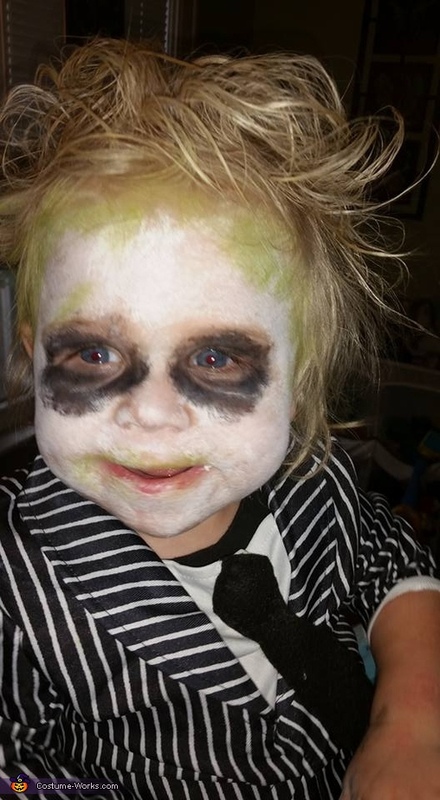 Painted his face like him and even added bugs to his hair.